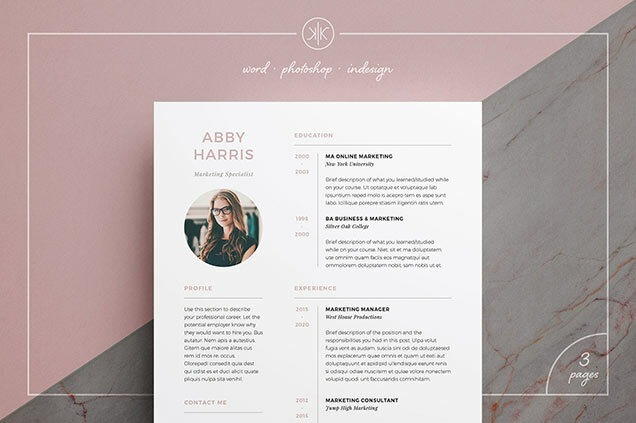 This resume template features a contemporary theme that can add more value to your job application. It has two big columns where you can fill-in your own texts and have them presented in a much more creative way thanks to its exceptional design. The left column has a room for a picture while the right and slightly bigger column is ideal to showcase your education and experience.